Clifton Opera House will be rocking on Friday, January 21st when the Rock Island Plow Company performs. Rock Island Plow Company was formed in 2004 with a group of veteran musicians. 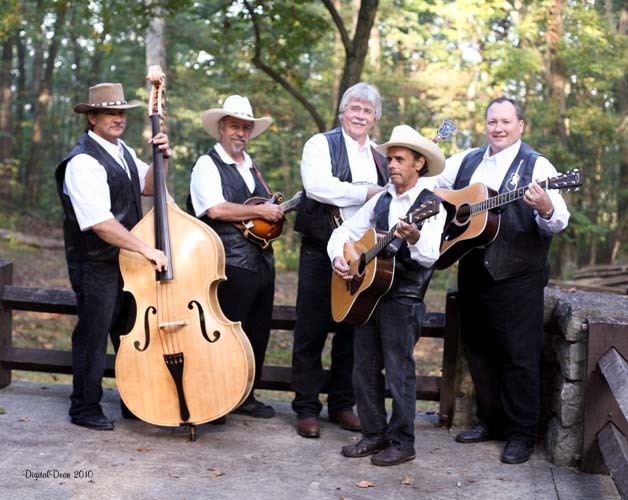 Each member has an extensive personal musical background which includes rock-n-roll, country and bluegrass music. This variety of talent has formed a strong foundation for the high-energy and technical music they play. Rock Island Plow Company has a strong commitment for maintaining the classic bluegrass style performed by Flatt & Scruggs and Bill Monroe in the early days of bluegrass, coupled with newer bluegrass music written for today’s audience. Rock Island Plow Company has been playing at local venues and festivals since their inception and continues to increase their fan base each year. The group strives to revitalize listeners to those songs which may have been forgotten since the early days of bluegrass making them once again the favorites of fans as in former days gone past. At the same time, they respect where bluegrass is today and perform favorites from such groups as The Lonesome River Band, Country Gentlemen, Larry Sparks and IIIrd Tyme Out just to name a few. Rock Island Plow Company will continue to impress show-goers and keep them coming back for more. Rock Island Plow Company members include Stanley Taylor (mandolin, vocals), Bill Bach (banjo, vocal), Kenton Moore (lead guitar, vocals), Rick Hagens (upright bass) and Doyle Wright of WYSO Radio (guitar, lead vocals). Check out Rock Island Plow Company at www.ripcomusic.com. The Clifton Opera House is located at 5 So Clay Street, Clifton OH. Box office opens at 6:30pm, and the show starts at 7:30pm. Please call 937.342.2175 for information.